“On 26 October 2018, President Sirisena removed Prime Minister Ranil Wickremasinghe from office and replaced him with former President Mahinda Rajapaksa. 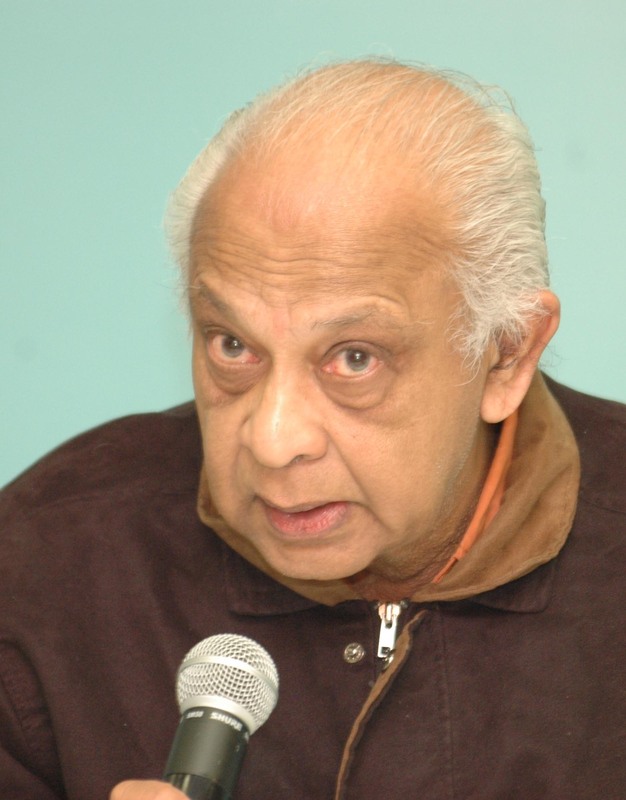 Mr Wickremasinghe argued that President Sirisena had no constitutional power to dismiss him given that he still enjoyed the confidence of parliament. Sri Lanka was left with in an unprecedented situation, with two individuals claiming to be the legitimate Prime Minister. On 9 November 2018, President Sirisena dissolved parliament and called parliamentary elections. On 13 November, the Supreme Court suspended the dissolution of the parliament, which reconvened on 14 November 2018 and passed two motions of no confidence against the Government of Mahinda Rajapaksa, amidst disruptions and violence against members of parliament. President Sirisena rejected the motions citing procedural grounds. On 3 December, an interim order from the Court of Appeal, upheld by the Supreme Court on 14 December, restrained the functioning of the Prime Minister and Cabinet. On 13 December, the Supreme Court decided that Presidential Gazette No. 2096/70 that dissolved parliament was ultra vires and unconstitutional. On 15 December, Mahinda Rajapaksa resigned, and on 16 December Ranil Wickremasinghe was once again sworn in as Prime Minister”. This chaotic situation in the South is of little concern to the Tamil in the North and East who live in a military/police state. What is important is that with the President and Prime Minister fighting with each other, neither will do anything about the critical situation facing the people in the North and East. 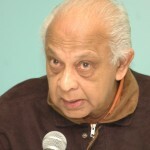 There is an outstanding recent article “Sri Lanka’s Transition to Nowhere” published by the International Crisis Group. It spells out what is going on in Sri Lanka, especially in the Sinhalese South. It is on the net. One way or the other, at the next Presidential election I will be most surprised if Sirisena is re-elected. Into the vacant shoes will step in the Rajapaksas who are waiting in the wings. Sri Lanka could end up with Gotabaya Rajapaksa as President and Mahinda Rajapaksa as Prime Minister. That will be the end of Sri Lanka in general, the Tamils in particular. Politically active Buddhist monks have been the curse in Sri Lanka for decades. It was one of them who assassinated Prime Minister S.W.R.D. Bandaranaike in the first political assassination in Sri Lanka. Venerable Somarama Thero who shot the Prime Minister was convicted of murder and hanged. Buddharakhitha Thero who was the master mind behind the assassination was also convicted of murder and sentenced to death. However, he was reprieved and sentenced to life imprisonment. The power of these monks is enormous. Buddharakkitha Thero, a whiskey-drinking monk saw to it that Bandaranaike appointed his mistress Wimala Wijewardena as the Health Minister. I know all this because my mother was a devout Buddhist and worshipped in the temple where Buddharakhitha was the chief priest. These Buddhist monks have blocked every attempt by every Government to devolve any power to the Tamils claiming that it is a sell-out of a Sinhala-Buddhist country to the Tamils. They are now getting even more violent. The Bodu Bala Sena (Buddhist Power Force) led by a very violent man in yellow robes who should have been arrested for threatening the Police and even Ministers in the Government, remained at large till he was arrested, charged and jailed. On 6 March 2018, President Sirisena declared a state of emergency after violent Buddhist monks attacked Muslim temples, homes and businesses in Kandy. This type of anti-Muslim violence by extremist Buddhist monks will continue. With some 20,000 Buddhist monks in Sri Lanka the possibility of an acceptable solution to the problems facing the Tamil people is not good. Former President Mahinda Rajapaksa has just announced that his brother Gotabaya Rajapaksa will head the new party. Presidential elections are not due till January 2020. If they are held now, it is very likely that President Sirisena will be defeated and the Rajapaksas will be back in power. Mahinda Rajapaksa cannot contest the Presidency because he has already held the maximum number of terms. However, his brother, Gotabaya, a US citizen, can contest provided he renounces his American citizenship which he is doing right now. In a recent interview, Gotabaya Rajapaksa said that if he is ‘called upon’ to do so (contest the Presidency), he will do so. There is the possibility of President Gotabaya Rajapaksa and Prime Minister Mahinda Rajapaksa. “Sri Lanka’s international partners should send a clear message to President Sirisena and his wing of the SLFP that reunifying the party around either Gotabaya or Mahinda Rajapaksa will not only damage Sri Lanka’s long-term prospects for sustainable peace but also endanger the international backing it has recently regained”. d) ceasing intimidation and surveillance of lawful political activities. The need for international pressure on the Sri Lankan government has been mentioned several times in this publication. The ICG publication “Sri Lanka’s Transition to Nowhere” states that “Internationals have been too quick to celebrate a Sri Lanka success story and failed to maximise their leverage…….Without significant external pressure, the government is unlikely to pursue reforms seriously enough”. There is no straightforward answer to this. What is important is that people should focus on this critically important issue which is the only answer to the continuing human rights problems in Sri Lanka. Since I have not been in the Sri Lankan North and East for some years, I decided to get an update from there. I picked the Commission for Justice & Peace of the Catholic Diocese of Jaffna. The Director/Chairman is Rev Fr Mangalarajah, the Patron is Rt Rev Dr Justin Gnanapragasam, Bishop of Jaffna. When the ‘war’ ended 10 years ago large portion of civilians’ lands, paddy-fields, coastal areas with fishing harbours and other facilities remained under occupation of the Security Forces. Slowly these lands were returned to the respective owners and most of the people have gone and occupied these lands after repairing or rebuilding their houses. Still there are lands of the civilians under occupation of the security forces. The promises to return these lands also are not respected. Eg. Our President had promised last year that the lands of civilians at Keppapulavu in the Mullaitivu District would be returned before the 31st of December 2018, when the people were on a long non-violent protest of sit-in movement just outside the Army Camp there. This month is the beginning of the 3rd year of protest and the Security Forces do not seem to make any sign of their evacuation. In the Jaffna Peninsula also still there are lands to be returned and roads to be opened. Because of the closure of some roads, the people have to travel several extra miles to go from one village to another. Of late the new Government of Jaffna Hon. Suren Ragavan also made an official request to the Chief of Staff of the Security Forces in the North to release the remaining civilians’ lands as soon as possible. The PTA which was introduced in 1979 is still in force. Human rights activists, both local and foreign have been clamouring for the removal of this draconian Law which gives unlimited powers to the Security Forces. Even ten years after the end of the war when everybody declares that there will not be a recurrence of such a war, Government does not seem to make any move to remove it in the near future. However due to international pressure, the Government has given an assurance to remove the PTA. On the other hand the Government is trying to introduce a new law in the place of the PTA i.e. Anti-Terrorism Law. The content and description of the new Anti-Terrorism Law has all the stringent elements which the PTA has. There are still 103 political prisoners in about 12 prisons in the country detained under the PTA. Some are serving very long sentences and some life-sentences. Some are still awaiting trials. The evidence (admission of guilt) taken from them were taken under duress and they were forced to sign the evidence written down in Sinhalese. During the past few years some of these prisoners were released on proving that the evidence extracted from them were under duress. From time to time the remaining unfortunate prisoners stage hungerstrikes demanding speedy trials. Every time promises were given and they ended the hunger strike but nothing tangible followed. The families of these people are languishing in anxiety, pain and poverty. The non-violent sit-in protest on behalf of the 15,000-20,000 people who disappeared during and immediately after the war still continue. Those who had surrendered to the Security Forces and, those who were handed over to the Security Forces (when the Security Forces asked those who were directly or indirectly involved with the militants or those who had worked in their offices) by their parents or wives on the promise that they will be sent back after some investigation, and those who were arrested by the Security Forces who came to their houses and promised the inmates that those taken into custody would be released after investigation are still untraceable. There are also many who were taken into for custody in round up operations in Jaffna peninsula after 2006 and are still missing. Eg. Arrest of 24 youngsters at Navatkuli by the soldiers in the army camp nearby and a ‘Habeas Corpus’ case is still progressing in the Jaffna Courts. There in another ‘Habeas Corpus’ case going on in the Mullaithivu Courts for the last 4 years with regard to the enforced disappearance of Fr. Francis Joseph (who was 77 years when he was taken by the Security Forces in2009) Mr. Ezhlilan, then leader of political wing of LTTE in Trincomallee and four others. There is another ‘Habeas Corpus’ case in progress in the Courts in Kayts for more than ten years with regard to the enforced disappearance of Fr. Jim Brown and his helper, Mr.Vimalathas a father of two children, in 2006. This month (March 2019) the continuous protest of the near and dear ones of these people has reached the third year. During this period more than 20 of the mothers, fathers or wives of these ‘disappeared’ people have died in desperation. The proposal of the Government to set up Offices for Missing Persons (OMP) in all the districts in Sri Lanka will only serve to dilute the gravity of the problem and to drag it on further. This move is understood as an effort to dupe the international arena. The affected people are fed up giving evidence to the various Commissions established so far and not one of the victims of ‘enforced, disappearance’ was returned nor his whereabouts made known. The recent proposal in the Budget of 5th March 2019 to give Rs. 6000 as interim relief to the next of kin of these disappeared people will not satisfy the people even in a small way. The people want to know what had happened to their kith and kin who were handed over to the Security Forces under the promise that they would be set free after investigation. If these people are not alive, the people have a right to know as to how and why they were killed and also to have the remains of their near and dear ones so that they may have the usual religious rituals for the dead. Compensation or any monthly allowance by the Government will have to be sorted out only after meeting the accountability for their lives. The proposal of the Prescient of Sri Lanka to celebrate the 10th anniversary of the victory of the Sri Lankan army over the Tamil militants is unpalatable and nauseating to the Tamils. It is adding pain to the already festering wounds. The burning issues of a viable and just political solution, the ‘enforced disappearances’ and lack of accountability, the plight of the political prisoners still detained under PTA, lands and houses of the civilians which continue to remain under occupation by Security Forces etc. are some of the unresolved important issues. Ten years is not too short a time to resolve all these grievances if only there was a political will. Mahaweli Development Authority and the Forest Department are involved in the eviction of Tamils in the Mullaitivu district in and around Kokkilai, Nayaru and Chemmalai region where they were living for several generations, doing farming. Mahaweli Development Authority and the Forest Department are involved in evicting these people and they are now landless. Their lands and paddy-fields have been taken over and allocated to the Sinhalese families who have been brought from elsewhere and settled in these areas. At Chemmalai in the Mullaithivu District in a place where there was a Hindu Temple, a Buddhist monk with his supporters from the South has put up a huge Buddha statue defying Court orders. The Archaeological Department also tries to claim that there had been a Buddhist Vihara, residence for monks etc. several centuries ago. A lot of tension is mounting here. Erecting of Buddha statues in places where there are no permanently resident Buddhists is fast becoming a frequent occurrence. The budget of 5th March 2019 seems to be sugar-coated especially for the Tamil areas. An unprecedented sum of Rs. 5000 million has been allocated for the North and East. Massive projects such as the renovation of the ‘Giants Tank’ in Mannar and setting up of or building harbours and fishing harbours, a huge allocation for education – building of schools, improving the facilities in sbhools, etc. have been given. At the same time a sum 393 billion rupees has been allocated for Security as if there is an impending war. While accepting the importance of improving infrastructure in all sectors, it has to be emphasized that development cannot be a substitute for the disregarding of human rights issues such as a just solution to the festering ethnic problem, lack of accountability for the enforced disappearances, allowing the detention of political prisoners to remain behind bars indefinitely, failure to return all the lands of the civilians etc. The problem of hit groups of youth carrying swords and other dangerous weapons and running about on public roads in groups on motor bikes almost uncontrolled and without any fear for the law is still present here. They create terror and damage to lives and property at their choice. All fair and clear minded people are sure that such happenings cannot take place without the coverage, encouragement and connivance of the security personnel themselves who are stationed here in very large numbers and much over the average ratio in other areas. The UN Human Rights Commission meeting now in session in Geneva is to consider the case of Sri Lanka. We understand that the Government is to request an additional time allowance of some more years. We have to painfully point out that absolutely no move has been made towards fulfilling the obligations undertaken on the original resolution to be accountable for all past war crimes. It is often mentioned that the LTTE too committed war crimes. A crime is a crime whoever commits it. All crimes, irrespective of the parties concerned, have to be investigated into and proper action taken to redress them or prevent further perpetrations. The opponent’s crime cannot and will not wipe away or justify one’s own crime. Any crime, especially institutional or collective or summarily executed crime has to be investigated into and proper action taken so as to save humanity from such future atrocities. Suppression of terrorism or safeguarding a nation’s security cannot justify crimes against society. We are further disturbed that the Government is considering escaping from such investigations under the slogan “Let us forget and forgive”. Forgetting is not within one’s control since a wounded memory will be crying from within unless remedial action is taken. And forgiving can be considered only after the truth is accepted and repented. You are true patriot and love the country but it is sad no one will listen you. Your incessant ‘letters’ have shown considerable preparation, perseverance and passion. Your points have been made. But you are now approaching a point of diminishing returns. The ungenerous might accuse you of over-egging the pudding. Maybe it is time now to give it a rest. Purposeful over exaggeration beyond belief is his subtle way of diluting the issue. His audience is his wife who is Tamil. Being a woman High Commissioner B understands. If the situation is this bad and he is genuinely concerned why doesn’t he appeal to next door India and Tamil Nadu she might wonder. She also may have questions like being a super power why did India allow a ‘genocide’ of kith and kin of Tamil Nadu people, why with all this discrimination and harrassment + 50% Tamils living in Sinhala majority areas resist any proposal for relocation into North East (not a SINGLE FAMILY has moved out during or after the war). She also probably knows a little bit of the history of plantation Tamils who vehemently resisted moving out of Sinhala majority areas. It would be a bit amusing to her to find a Sinhalese who can lie like a Tamil who are the renowned masters of the art. She should be reading Colombo Telegraph to learn more about that talent of our Tamil friends. useless, he is one of many who were processed by spies. arranging marriages Singhalese crooks to Tamil started not today or yesterday, it was done lone before Tamil war started. This have long connection to Tamil Tigers and especially global Jews who are bend on taking revenge on lanka because lost some military interest in Sri lanka. Jews are worst than British when come to insult or revenge. And Jews are given contract to carry out what British and other European did in other countries because Jews knows all secret operation British did in Sri lanka and other countries. And of the secret things British did in Sri lanka is killed all brave aristocrats who fought to regain Singhalese throne and saved all south indian Tamil ” Bandaranagam” and helped them to get Singhalese names to cheat Sinhalese Buddhists. “The ungenerous might accuse you of over-egging the pudding. Are you sure your comment is aimed at Dr Senewiratne? I thought it was appropriately addressed to soma. I was wondering whether Dr Seneviratna was there too ,when the LTTE Samanthnam who was apparently tortured by the SB Army in Colombo handed that US Summons to Gotabaya Nandasena in LA, accompanied by Ahimsa and Sooka?.. Nandasena now has Buckly’s of becoming the President. Even if the Viyathmaga. Eliya , and the whole Mahasanga of the Amarapura and Ramanya Niyakays toured every inch of the Mahavamss Land which Dr Brian has referred to . Ms. Michelle Bachelet, wonder whether there is a mechanism within the UNHRC in place to have Brian Seneviratne’s head examined? Or, could you at least hand him over to Darusman or Yasmin or to Alan Keenan? He may be useful to them as he is an Aussie Sinhalese. I wonder what happened to Mannarama mass grave that backfired. If there is any sign that it is linked to Portuguese atrocities, there will not be any further investigations. Let alone Portuguese, Dutch or for that matter British[ unlikely though in Mannar] and not Last but not Least Sinhala atrocities there will not be any further investigation! If you care to look at JVP history has is ever said the JVP terrorist ever killed people? Similarly has LTTE ever said it killed innocent people? Has your fascist state ever admitted to killing/maiming innocent people? If you really want to know facts, please pull your head from wherever it is now (perhaps inside HLD M’s bum) or stop looking through your fascist bum. Present day Tamils in the North & Muslims in the East should know that they are living because of heroic acts of Mahind & Gotabhaya. They eradicted the LTTE terrorists and establish democracy in the NOrth/East. Provincial Council elections were held there after in North /East. Politicians not only the North & East others should know these facts. Should not the “end of Sri Lanka in general, the Tamils in particular” be a matter of “a little more than little concern” for the Tamils in the North? Where exactly did MR say any such thing? I stand corrected, if I missed anything in the newspapers.